There’s not much I miss about the mother country but I do miss my UK friends a lot. A whole lot. Moving to another town or city and making new friends is hard enough, but moving to another country is even harder. 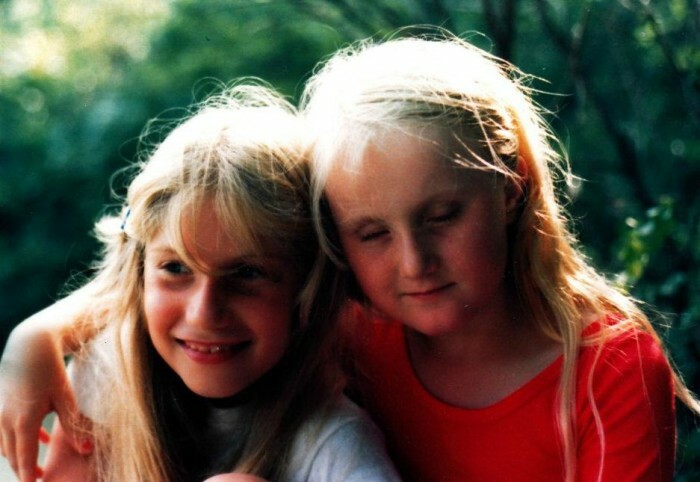 In a nutshell, making friends when you’re a grown up (or pretending to be one) is hard. I have wonderful friends and lots of them in the UK, there’s just the matter of the odd 17,000 kilometres between us. I guess we’re lucky that our friendship does not depend on being together. Finding friends and making friends in a new country isn’t always easy but it’s always worth it. Slowly but surely, we’ve made some fantastic friends and what our Aussie friends lack in quantity they more than make up for in quality. 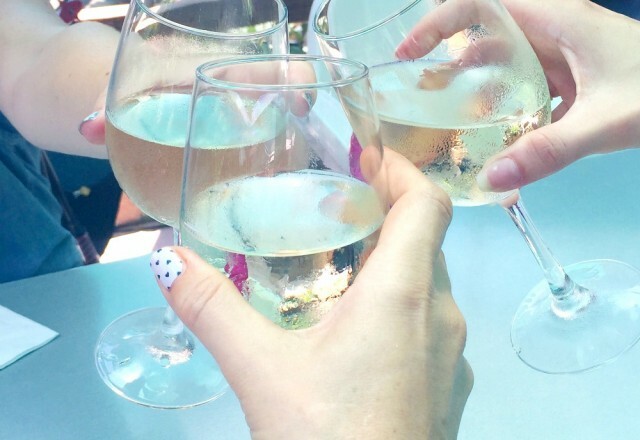 When I got cancer, I started blogging (although I use the term loosely) mostly as a way to keep in touch with my overseas friends but something really funny happened. I got friends in my computer. And lots of them. Strange but true. I’m friends with people I haven’t met yet, but I know them already and that real life thing, well, that’s just the cherry on the top of a truly delicious friendship cake. Last year, I attended my first ever blogging conference and met hundreds of friends from inside my computer in real life. And yes, if you’re wondering, they were every bit as lovely offline as they were on it. In 2014, I enrolled in Fat Mum Slim‘s Clever Cookie School of Blog. The course was blog-enlightening but my far and away favourite takeaway was the friends I made and yep, you guessed it, they’re all in my computer. 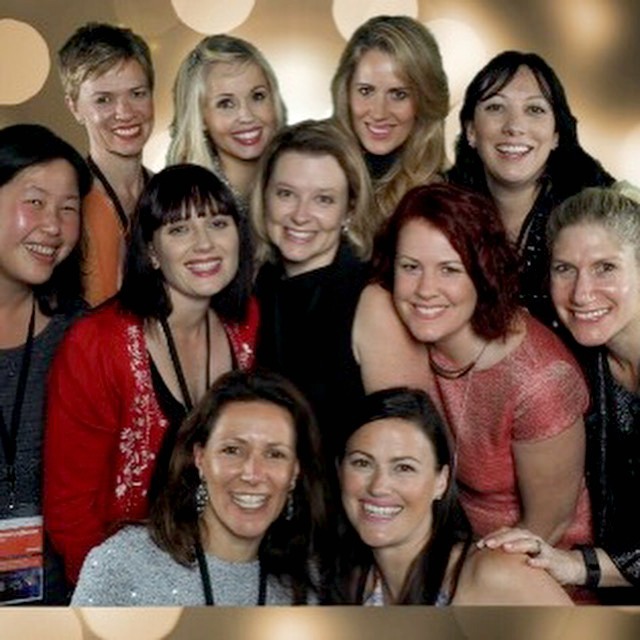 This year, Cathy travelled to Australia from France to meet all those online friends offline and very jolly it was too. This is what it looks like when three states, two countries and one blogosphere collide. 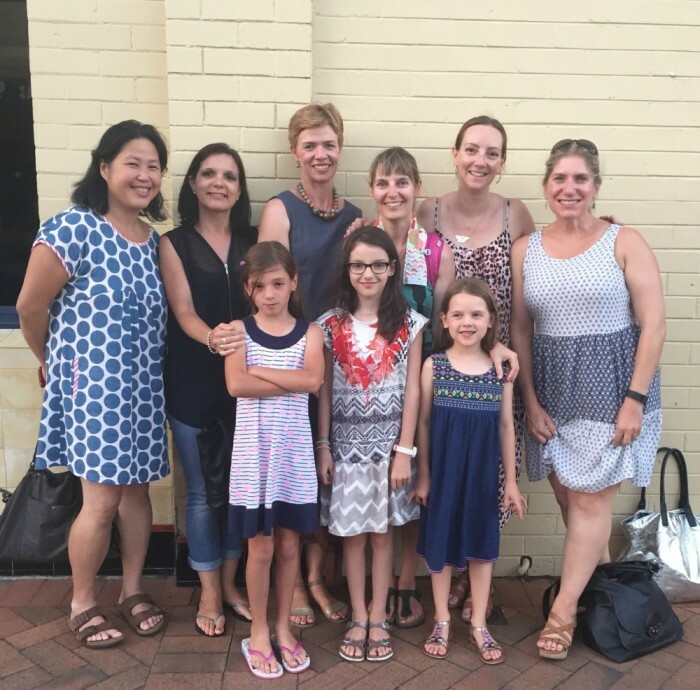 Last week, I went to Brisbane and met my friend Nicole and had the full house tour, got to cheers Dr Sash and enjoyed Karin’s hotel facilities and her daughter’s Disney princess castle. There was lots of cheers-ing, lots of chatting and a whole lot of jolly. 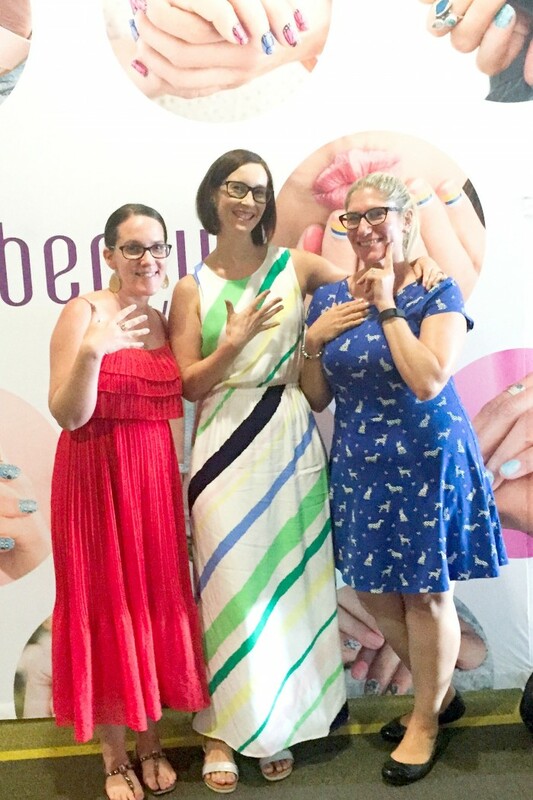 As if all that wasn’t wonderful enough, if I hadn’t blogged, I wouldn’t have discovered the joy of Jamberry which has filled my computer with even more new friends, like the lovely Renee and Alison. We’ve totally nailed this online/offline thing! I guess it’s not so weird that I found so many friends in my computer because it is after all where I found my husband too. Some people think the interwebs are a bad place and full of bad people. But I wholeheartedly disagree. The interwebs are a fun place to hang out and they’re full of really rad people whose paths I’m very glad I crossed. Now I’m not at work, I’m home alone almost all day, every day. But I’m not lonely. 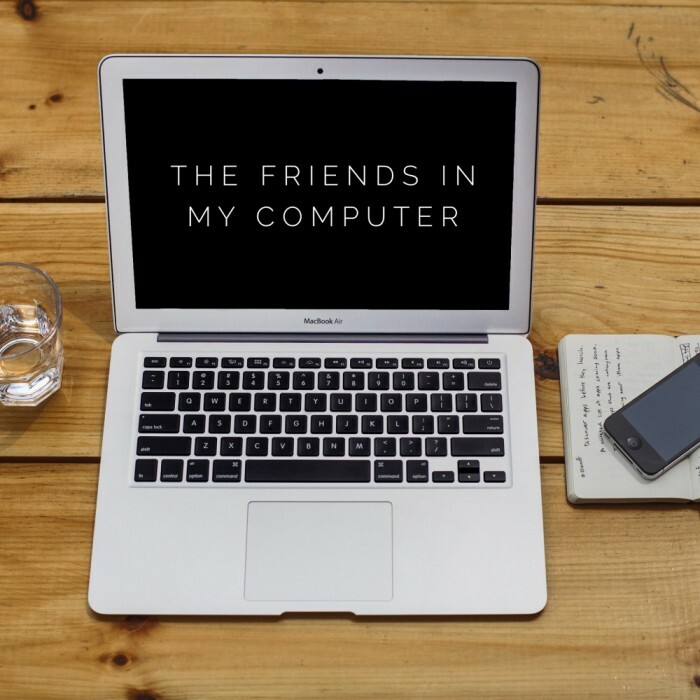 Because I’ve got my friends… In my computer. Have you got friends in your computer too? Have you ever met an online friend offline? Do you find it easy to make friends?